Read the Red Pencil case studies to learn about some of the organisations we have worked with here and visit our blog for more examples and news. Please get in touch for a chat if you think we can help you. Working with Emily Hayes of Semiotics for Brands, we are running a brand research project for Mind, identifying ways they can reach young BME men. The mental health inequalities are dramatic for this audience. They are among the lowest users of support services and present in the highest numbers at points of crisis. Early on in the project, it became apparent that collaborative communications, producing content and campaigns, in collaboration with young black British men was likely to be the most effective way for Mind to reach them. We have therefore taken a co-production approach in running the project and focus groups – supported by JJ Bola and Quince Garcia together with local Minds in Croydon and Haringey and the MisLit group. 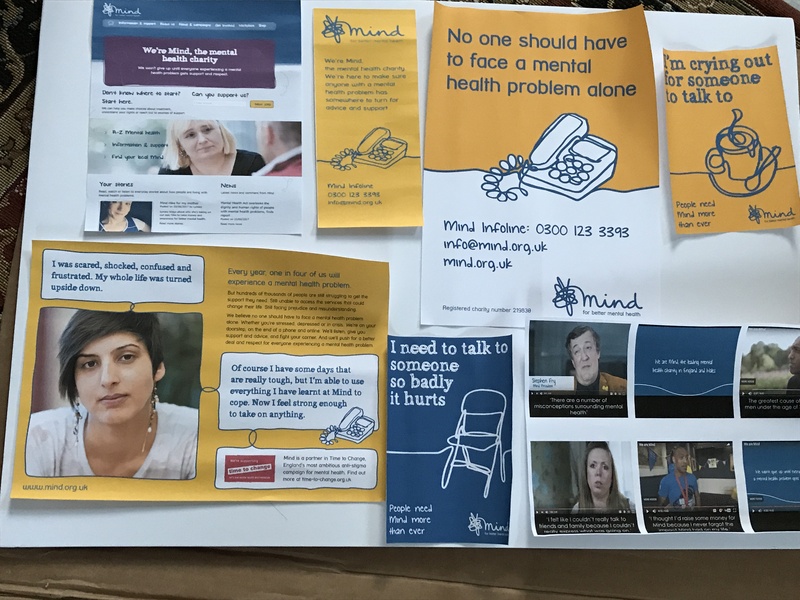 At the end of the project we will produce a brand communications toolkit and guidance for Mind capturing how the findings of our research can be applied in practice. "Participatory communication is the theory and practices of communication used to involve people in the decision-making of the development process. It intends to return to the roots of its meaning, which, similarly to the term community, originate from the Latin word 'communis', i.e. common (Mody, 1991)." We carried out an extensive audit of Alzheimer’s Society’s 3000 local services across England, Northern Ireland and Wales. We started by devising an evaluation framework to objectively assess whether marketing materials complied with brand guidelines and met criteria for marketing good practice and finished with a presentation to the Operations Leadership Team. Along the way we analysed hundreds of marketing materials, services specifications, job descriptions and strategic plans, carried out a mystery shopping exercise and interviewed staff – from the most senior leaders through managers of regional services to the people who service users first contact. Using an iterative approach, the audit built up a comprehensive analysis of existing activity – where marketing was being carried out effectively and the incidences where resources were not used efficiently, including significant budget savings. The final report presented recommendations for changes to strategy and delivery practices that should now mean marketing supports the services strategy and is integrated into other areas of work, nationally and regionally. 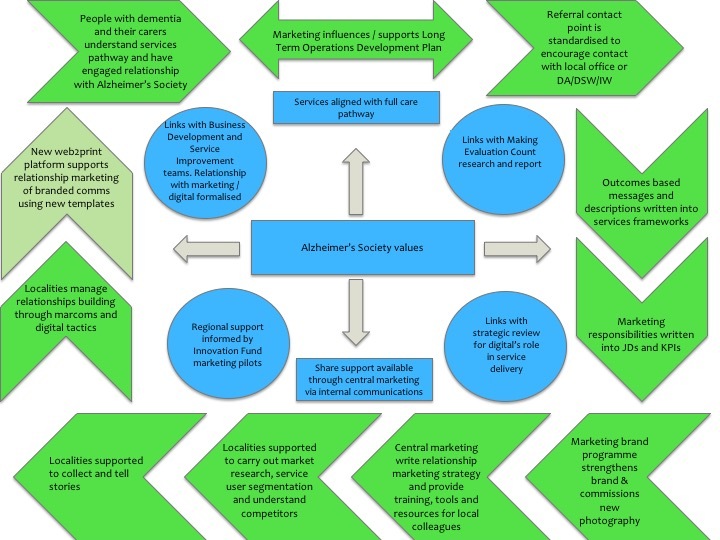 A central recommendation was that Alzheimer’s Society adopts a relationship marketing strategy responsive to service users’ needs and requirements over the long term. The Society has appointed a member of staff to manage services marketing and it is really satisfying to see our recommendations providing the blueprint for that role. We won a commission to work with Engineers Without Borders to carry out an audit of their fundraising and communications before writing an integrated fundraising and communications strategy. 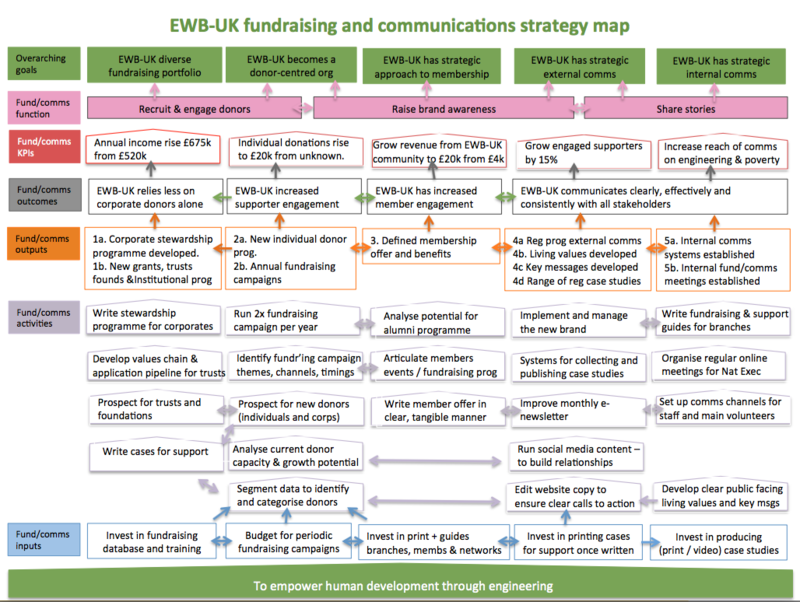 We worked in interactive session with the staff team to interrogate the operating environment for EWB-UK and its fundraising relationships before presenting a comprehensive report to the Board. Typically we would start writing strategies by looking at the organisational outcomes (the desired change) and outputs (how change will be measured) and then align fundraising and communications activities to those organisational objectives. However, Engineers Without Border was ‘between’ strategy development stages so we used a Theory of Change approach to align recommended fundraising and communications activities to established best practice in those areas. 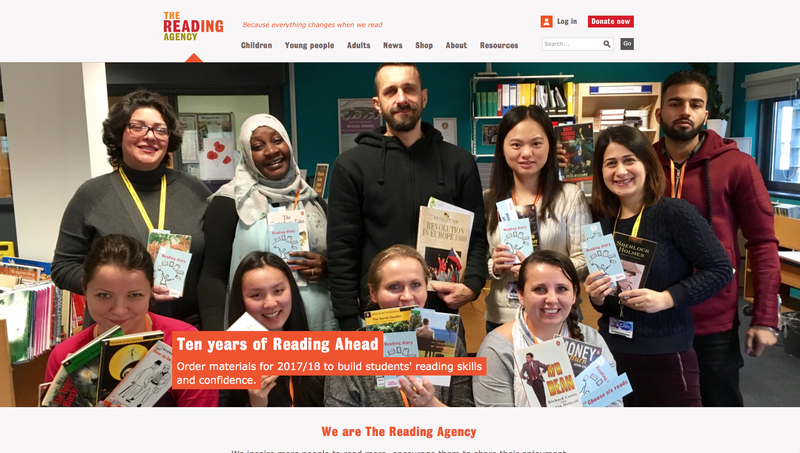 We provided digital brand consultancy to The Reading Agency leading on the online and offline brand strategy and implementation. It included bringing all programmes into a brand architecture, including a £1m young people’s volunteering programme, a reading challenge for less confident adult readers and World Book Night. We led the rebounding of the work to support adult literacy from the Six Book Challenge to Reading Ahead and also led the development phase of the organisation-wide digital strategy. We had a long-running relationship with The Reading Agency and led an number of exciting projects that included market research, brand guidelines, launching an electronic newsletter and writing digital communications and marketing strategies.